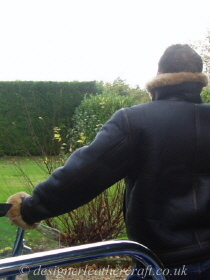 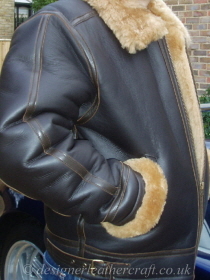 Please note all my Current Collections of Sheepskin Flying Jackets are sold out. 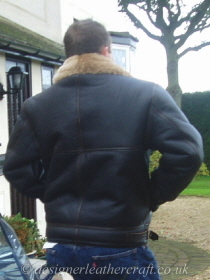 The Flying Jacket pictured is a Medium Size. 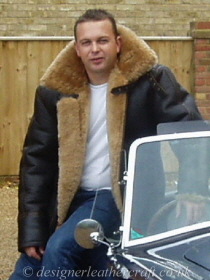 For those of you who are not able to visit to try the jackets on please see the measurement guide below. 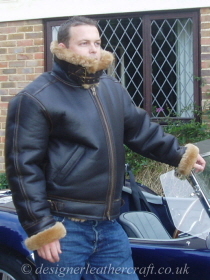 The measurements are from armpit to armpit with the jacket zipped up. 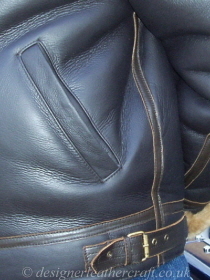 The underarm sleeve measurement on all sizes is about 21 inches with the cuff of the jacket rolled down and the back length is about 28 inches from the base of the collar.